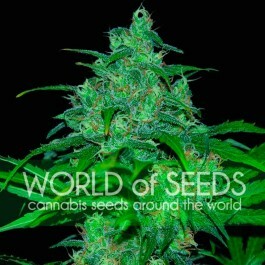 The plants produce large, dense and resinous buds and can be harvested just 9 weeks after germination. The aromas and ﬂavours are fruity and tangy for a pleasant effect of physical relaxation and mental stimulation. A productive, uplifting smoke that proves quite more-ish. 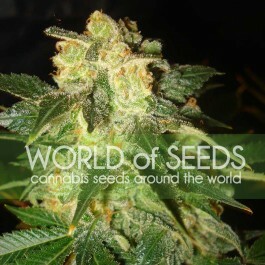 Buds form large and dense, loaded with crystal resin and a tangerine aroma. Red and purple tones can appear at the end of the ﬂowering cycle.